Anupam made his acting debut in the 1982 Hindi movie Aagman. Afterwards in 1984 came Saaransh, where 28-year old Kher played a retired man who has lost his son. “Announcing my first book published by Hay House Publishers. It is about life and living. And is called THE BEST THING ABOUT YOU IS YOU,” Anupam tweeted. 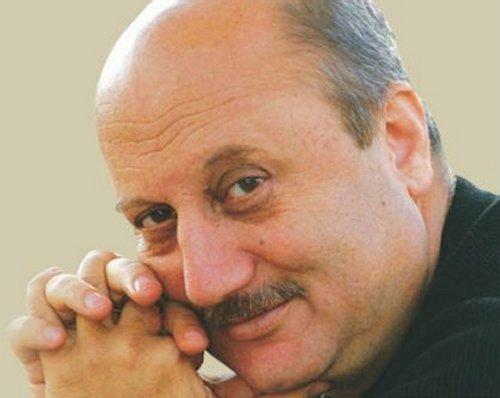 Through his maiden literary work, Anupam Kher will try to help people by providing a handy guide to finding peace of mind and contentment in today’s chaotic times. He also runs an acting school named "Actor Prepares". The two-time national award-winning actor also has won the Filmfare Award for Best Performance in a Comic Role five times, more than any other actor. He has also acted in a Malayalam movie named "Pranayam' directed by Blessy. He produced and starred in the film 'Maine Gandhi Ko Nahin Mara' (2005). He received the Best Actor Award from the Karachi International Film Festival for his performance in the film. For his role in Daddy (1989) he received the Filmfare Critics Award for Best Performance. 0 Response to "Anupam Kher to write his first book"